Discussion in 'Gen 3 Prius Main Forum' started by Bacchanal, Apr 12, 2019. How y’all doing... first,i want to thank you all members of this very helpfull forum.i live in los angeles,california. 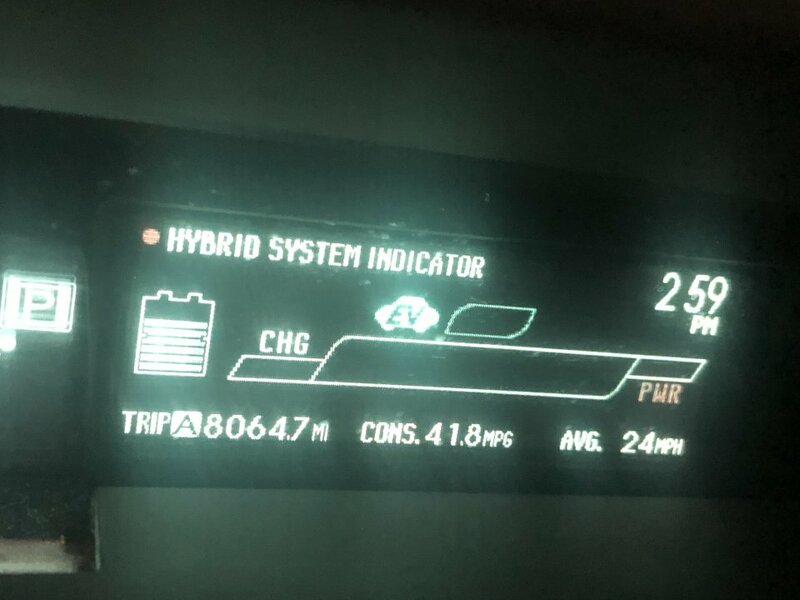 I have 2015 Prius two with 384835 miles on it and starting to give up on me. Few days ago the engine shaking when i started amd check engine light on,i brought to autozone and got code P0304-cylinder 4 misfire detected.the next morning i brought to my mechanic and got code P0304 and P0303 thats mean cylinder 3 and 4 misfire detected and he check the coolant(low)And my mechanic told me that its the blown head gasket for sure.he told me to replace the engine for 3k. I just dont believe it,i think i need 2nd opinion. That afternoon I brought to another shop(hybrid specialist),he said probably just the spark plug,ok he replace 4 spark plug but not the ignition coil.after that still the same but the shaking got better not that rough like the first one.and he said the same thing that the head gasket blown.he told me to replace the engine for 3600 total.4 gen engine with 20k miles and 2 years warranty. I said i’ll think about it. What do you guys think?should i replace the engine or just sale the car? Oil change every 10k or less sometime and always use mobil 1 full synthetic 0w-20 and oem toyota oil filter. Replace tire at 50k,150k,250k,350k always use michelin defender. I have less than 2K in a engine swap in ours with a Gen 4 donor engine that had less than 6K miles, but I provided the labor. Did you’re 2015 ever get rest?! Wow that’s a lot of miles in 4 years!! ShenmueTacos, Bay Stater, mikey_t and 3 others like this. stay away from the 'hybrid specialist'. spark plugs indeed! Other than the engine and drivetrain wear, how's the car look and feel? I'd seriously consider replacing the engine - depending on the rest of the car's condition. Bay Stater and Montgomery like this. Don't see any mention of EGR clean in that maintenance schedule, would be interesting to see what it looks like. DIY replace the head gasket? There's lot of info here; a few people have done it now. Still, that's a LOT of miles. Maybe somebody between El Lay and the bay can find a little space and start a tip funded engine swap deal. I may remove a wall in the shop and start doing that depending on how my time goes. Did you’re 2015 every get rest?! Wow that’s a lot of miles in 4 years!! I know a “courier” up here who had 328 k on his 2015 before he got sideswiped last year . Now he has a 2017 with 40k miles on that. But has a job with Fed Ex instead of just being a courier . Still couldn’t believe how fast those miles piled on . Bay Stater and orenji like this. 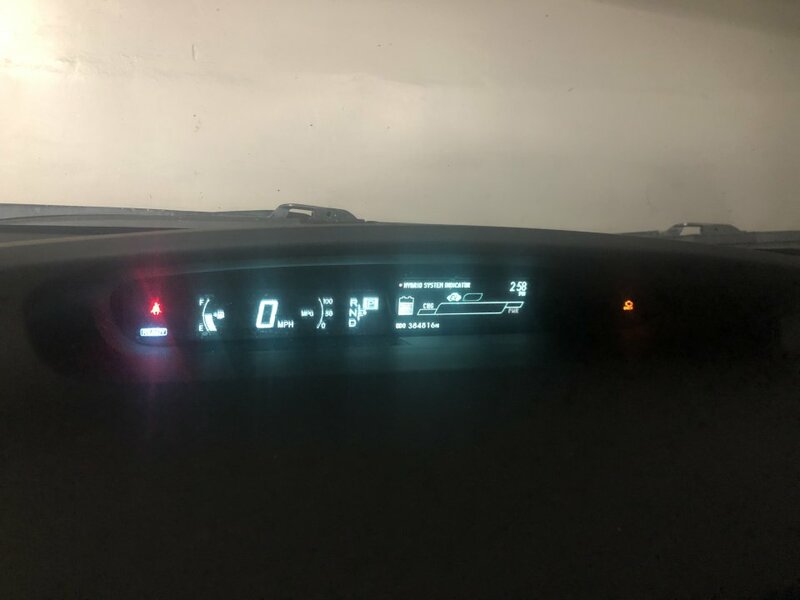 @ orenji - yes,every weekend,i only use my prius for work as courier. I drive 300 miles/day 5 days a week. @ kennyg5 - looks very good and drive very good too before this engine shaking happen. Drive still good but on lower gear the engine starting to rattle little bit,and in the morning when i check the coolant its very2 low. At nearly 100K a year, an engine swap makes the most sense. If the engine is not consuming oil, then consider replacing the head gasket. Was the EGR System ever cleaned? Keep us posted. Was the egr cooler/intake manifold ever cleaned and if yes, what mileages? Catch can installed? I’d be interested to know as I have a 15 (44k miles) and am hoping to avoid the infamous gen 3 blown head gasket issues. It’s never too early to install a catch can . Egr circuit cleanse schedule at the spark plug change (120 k miles when the windshield wiper cowling is removed) . With a 2010 at 200 k miles, I’ve avoided what you’re concerned with . I never clean the EGR,and no,the engine is not consuming oil. kc5dlo and Bay Stater like this. Bay Stater and Raytheeagle like this. He chose to repair his engine instead of installing a used engine. His mechanic charged him $5400. I’m in the wrong business. $5400 to replace the head gasket. I could do it for about a third of that. But there is not a huge need (at least that I noticed) in my neck of the woods.  Raytheeagle, Mendel Leisk, Bay Stater and 1 other person like this. I paid $5,400 because I did a lot more than just the head gasket. I was quoted around $2k for the head gasket by itself. I had a bunch of stuff replaced for longevity and the labor went up as a result. I will say that when my head gasket blew, I received no codes. My first indication was when the rough cold start thing started to happen nearly all the time, then all the time, then even while driving. Check throttle body and inside the engine for coolant mixed with the oil. If there are misfire codes, and the engine is rough when accelerating at low RPMs, then it's probably just the EGR and intake manifold. Raytheeagle and The Critic like this. Not trying to pick on you here, but the additional items on your laundry list cannot possibly bridge the difference between $2K and $5400. Water pump, t-stat, inverter coolant, high tone horn and lifters are probably add $1k-$1.2k total. Raidin and Raytheeagle like this. 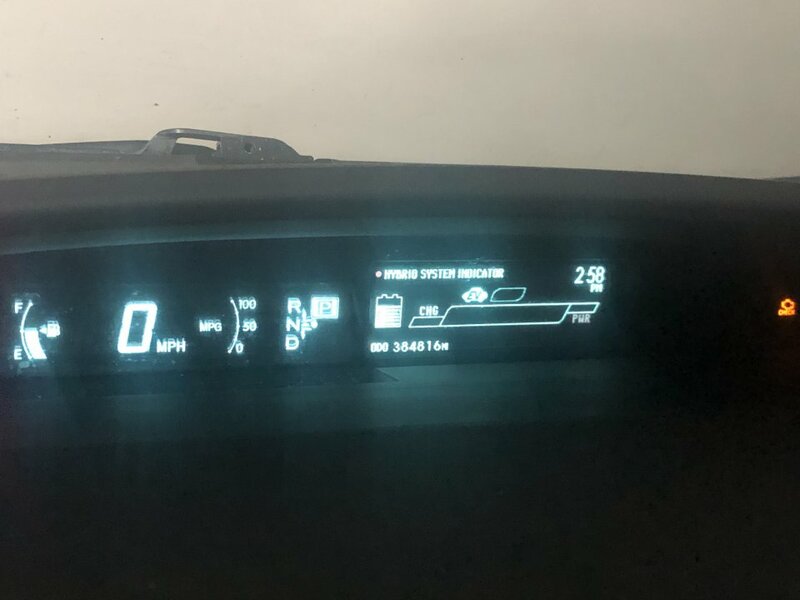 2010 66k Miles Prius - Worth Buying in 2019? 2015 Prius One - $10K with 160K miles in Nov 18 according to CarFax. Good buy?